Ford launched a rugged Ranger Raptor late last year. It's powered by a diesel engine and only offered overseas, though there are hints we'll eventually see something like it here, and with a gasoline engine in tow. 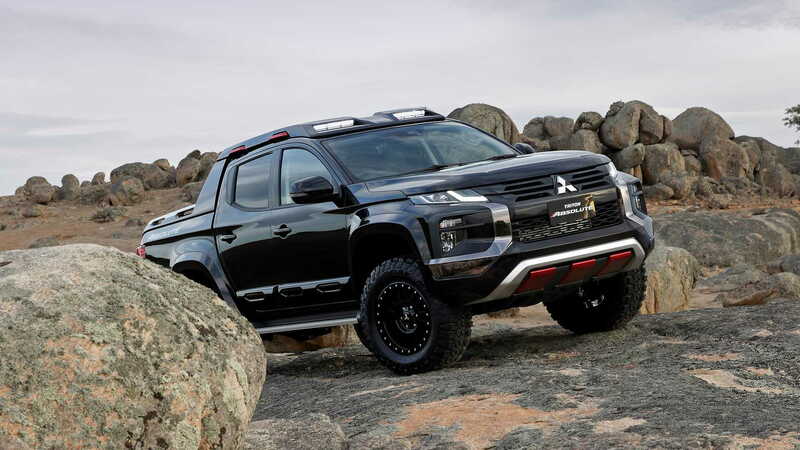 The excitement surrounding the vehicle hasn't gone unnoticed at Mitsubishi, which on Tuesday unveiled a concept at the 2019 Bangkok International Motor Show that explores a potential Ranger Raptor rival based on the Triton mid-size pickup. Known as the L200 in some markets, the truck was introduced in its current form in 2015 and given a facelift last year. 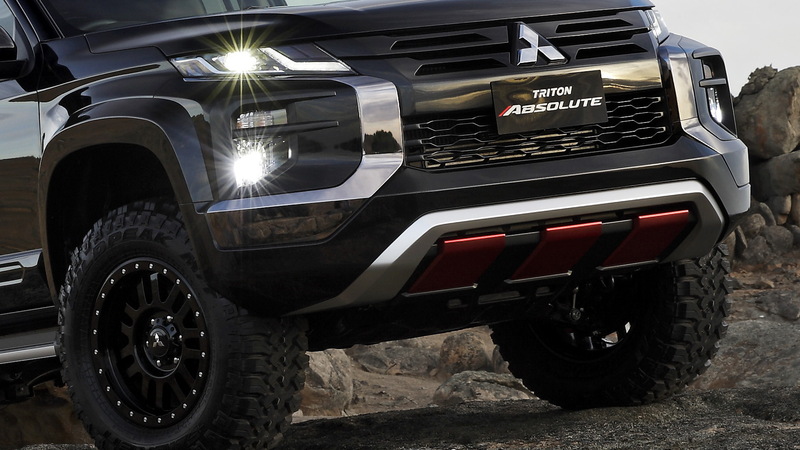 This concept version, called the Triton Absolute, is purely a study at this point so Mitsubishi is short on specs. 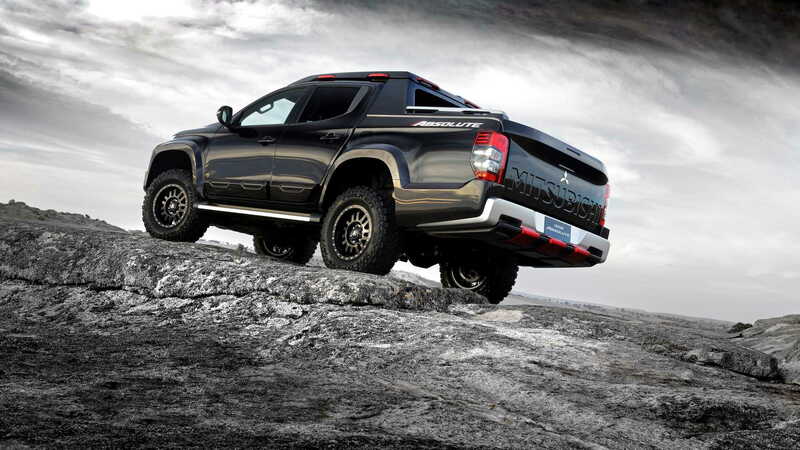 However, we know the vehicle features a wider track to accommodate chunky off-road wheels and tires, in this case an 18-inch set wrapped in 285/65-size Falken Wildpeak tires. Upgraded suspension also adds 50 millimeters to the ground clearance and is said to provide longer travel and improved ride and handling, too. And touches of carbon fiber around the body adds extra flair. Under the hood is likely to sit the standard Triton's most potent powerplant: a 2.4-liter turbocharged diesel with 180 horsepower and 317 pound-feet of torque. In comparison, the Ranger Raptor packs a 2.0-liter turbocharged diesel with 210 hp and 369 lb-ft. 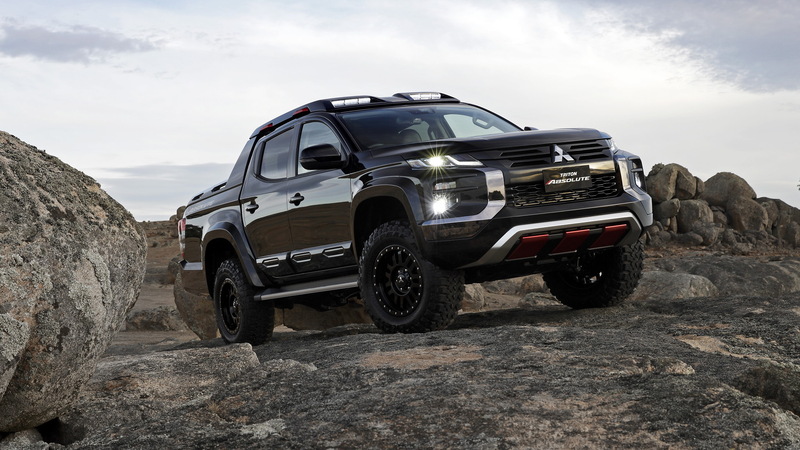 In a statement, Mitsubishi said the concept will be used over the next 12 months to gather feedback from potential customers to guide its future product development. 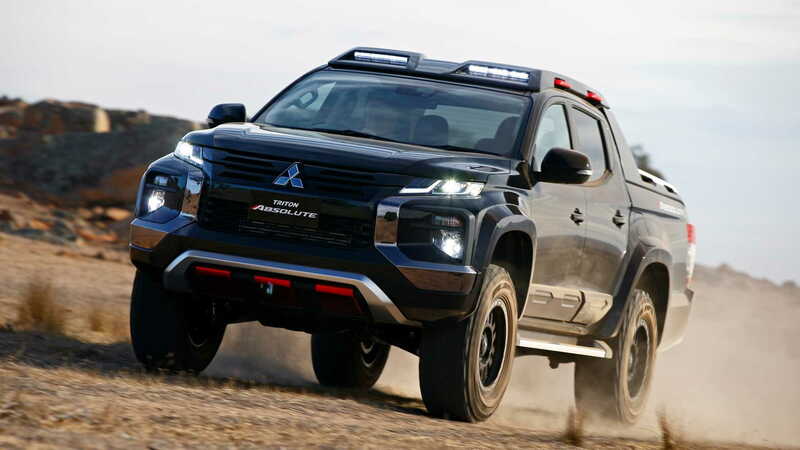 Should Mitsubishi go ahead with a production version of the Triton Absolute concept, there's little chance we'll see it here as Mitsubishi has no plans to introduce the Triton range in local showrooms.